From the get go hair brand Fudge have been all about creating products to pretty much match trends as they happen, with a healthy dose of cheekiness and irreverence thrown in for good measure. They give you a helping hand at creating some of the more extreme looks out there and always having, never shying away from taking hair to new shades or new heights. Priding itself on “significantly increased volume in a unique way,” and minus the draw backs typically associated with going large like stickiness, nastiness and general product overload, Fudge BIG HAIR’s Oomf complex is made up of a blend of Hydrolyzed Wheat Proteins with the benefits of natural Bamboo Extract – two stars with a special bond leaving hair negatively charged, fibres further apart and undeniably voluminous. Additionally, the high molecular weight of the complex creates a light film on the hair surface for smooth strands minus the frizz – a sleek finish aided by moisture retentive benefits and a reduction of the hair’s porosity (Hydrolyzed Wheat Protein) and high silica shine (Bambusa Vulgaris Shoot extract). 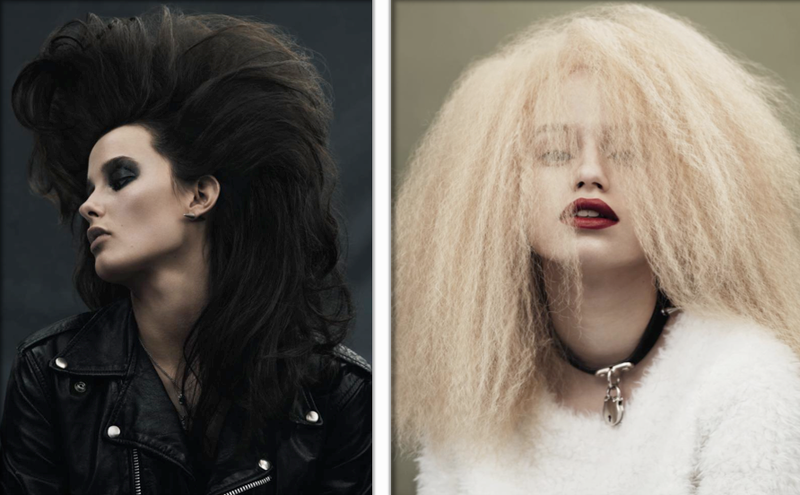 Available now, BIG HAIR has launched with an Elevate Styling Powder for instant texture, Mega Hair Milk for body shine, Push It Up Blow Dry Spray for roots of new heights and Think Big Texture Spray for maxed-out volume. Mega Hair Milk is the first product I’m recommending, especially to those with shorter, fine hair. It’s a weightless styling milk enriched with the aforementioned Oomf Volumising Complex plus Bamboo Extract to give you visibly thicker hair whilst leaving it glossy, touchable and lustrous. As if it wasn’t enough to launch an absolutely beautiful shampoo and conditioner - Bontantical Shampoo and Botanical Conditioner - in the past month, Sodashi have now added a beautiful body wash to the mix in the form of the wonderfully named Enlivening Body Wash.
It’s the absolute perfect pick me up of a morning, with an aromatic blend that is one of the most delicious I’ve had the pleasure of sniffing in quite some time. A blend of Grapefruit, Lemongrass and Rosemary essential oils give it the perfectly uplifting fragrance, and also provide a detoxifying and firming action. Cedarwood and Spanish Rosemary penetrate the epidermis to strengthen, soften and protect the skin, and the chemical/synthetic free formula ticks all of my health-conscious boxes. Like all Sodashi products, it is not tested on animals and is free from parabens, petrochemicals, GMOs, sulfates, synthetic preservatives and dyes, phthalates and triclosan. Truly delicious and it works. Love it. 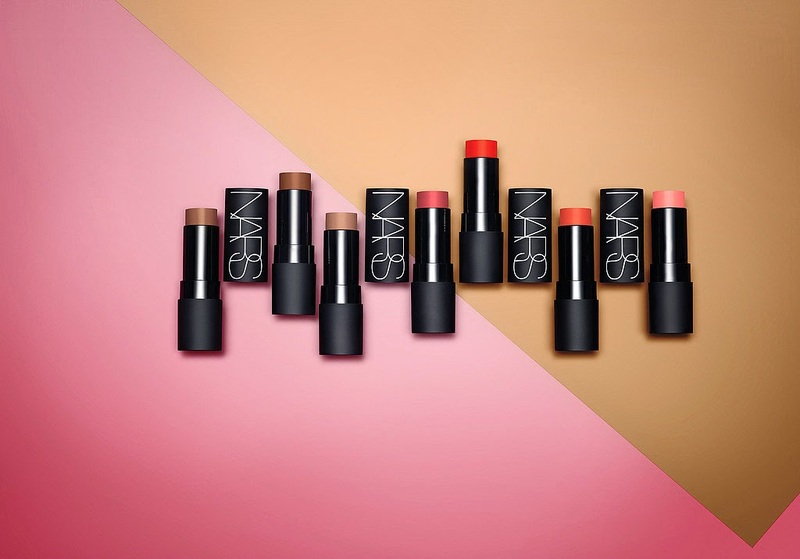 It’s quite exciting for a beauty freak like me when iconic beauty products are reinvented, and the new NARS Matte Multiple is most definitely worth all of the hype it’s getting. I’ve been playing with one of these new cream colour sticks for a little while now, and I have to start off this review by telling you… that thus far I’m in love. The new “modern matte” formula (aka matte, but never chalky or powdery) is actually quite different from the original, not just in texture, but in application and pigmentation as well. It’s available in seven shades - from bright blushes to deep bronzes - and each can be used wet or dry. Unlike powder formulas, they apply more sheer and translucent when wet and more opaque when dry. And like the original Multiples, you can use your fingers, a brush or sponge to apply them to cheeks and lips (I like fingers best). From first play the one thing that really got me is how comfortable they are to use. Usually matte lip colours are drying, but these ones felt quite comfortable on the lips - even though I have been using my shade (Altai) mainly for cheeks thus far. 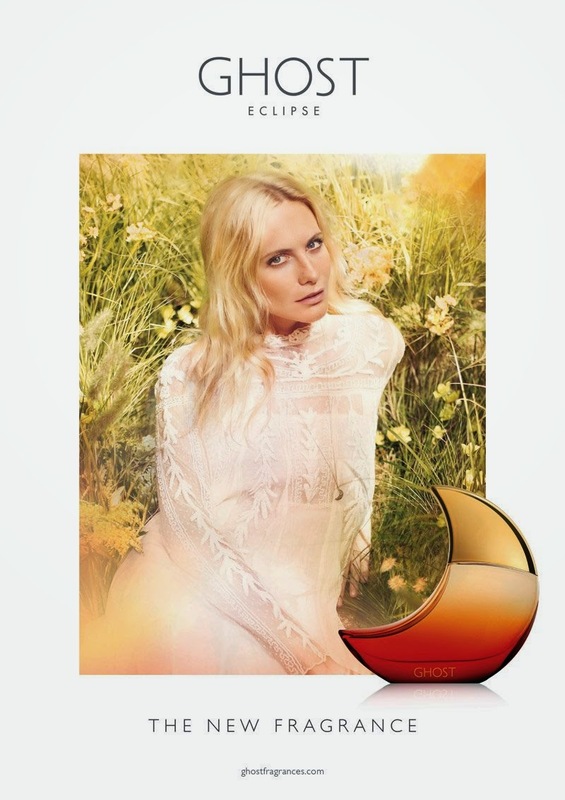 Altai is described as a “rose bronze” and has been the perfect trans seasonal complexion warmer. It’s a light-medium, warm-toned peach-brown with orange undertones and a satin-matte finish, and although it is intensely pigmented, it is easily softened and sheered out (even with a dry application). The texture is creamy, smooth, and very blendable, and this particular shade seems to wear really well on my cheeks. To sum up, I love the creamy texture, the flattering colours, the ease of application, the lasting power and the gorgeous, modern matte finish of the NARS Matte Multiple. Skin looks healthy and glowing, and you can’t argue with that. The only problem? … choosing just one! These arrive on April 1 down under online and instore at Mecca Cosmetica. When I travelled to Australia last month, one of the first things on my shopping list was an item - or two - from new active and yogawear collection The Upside (as yet unavailable in New Zealand bar online from Australia). I’d read about it in advance and long admired the style of its founder Jodhi Meares, who said of the collection “how you choose to look and feel should be a direct reflection on your choice and ethos in life. The Upside fuses sport and fashion with its mix of yoga gear, shorts, tank tops and camis, all designed to be worn from your gym class to casual dinner afterwards.” Can’t argue with that! After 15 years on the mat in Australia and the US, in particular Hawaii, Jodhi saw the need for dynamic active wear that was not only functional but looked great in and out of the studio. The Upside was born out of a vision of “how we believe women and men will dress in the future as we value the need to move, stretch, run and be still as much as the need to eat, sleep, work and play”. Reassembling the team from her previous label Tigerlily, Meares spent the last four years building her new brand and it has been an instant hit. Her devotion to exercise means that Meares lives in clothes that work into her lifestyle. In Australia's Bazaar Magazine, she says "I was wearing a bit of Lululemon and Omgirl to my yoga classes at Equinox (New York), or if I was in Hawaii I'd resort to pulling on some great Louis Vuitton leggings, wearing them to yoga class them teaming them with Havaianas afterwards. I couldn't find anything I wanted to wear, so I'd put these looks together." Meares could see a gap in the market that many other active women would have already encountered. 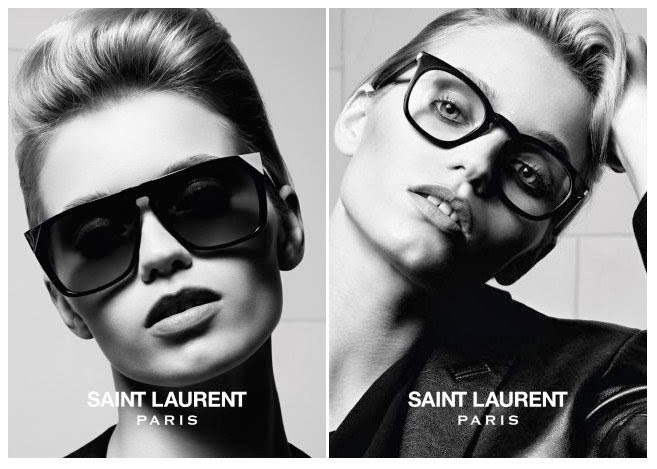 "Everything that was available was either too sportswear, mainstream or suburban," she observed. Now that exercise is an integral part of most women's busy lives, women like me are updating their sports wear seasonally, and in my case, takes up a large portion of my clothing budget. "We are doing more to nourish our souls and condition our bodies more than ever before and being here in New York at the moment I am really inspired by the amount of people who are seriously looking after their bodies," said Meares in an article for news.com.au. The collection has a contemporary eco-friendly style with a strong emphasis on health and spiritual pursuit, and the pieces I bought - which included a seriously great logo tank and crop pants in a beautiful hydrangea print - have worn incredibly well to boot. I love my sportswear with a side of sass and The Upside is all this and more, and I’m already scheming a trip back to Australia to grab me some more! 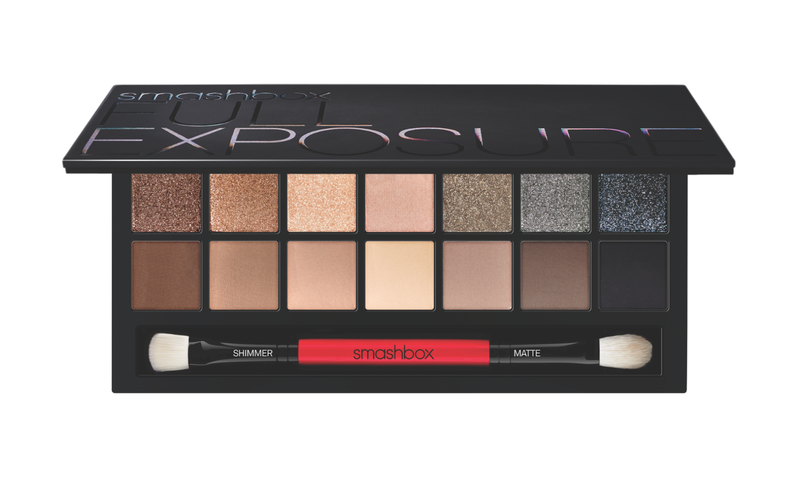 Reportedly created because the pros at Smashbox Studios needed it, the new Smashbox Full Exposure Palette is most definitely a must-buy for beauties out there who love the power of a ‘bit of an eye’ done well. On set, the Smashbox MUAs have seen every skin tone and eye shape imaginable, so they asked the powers that be for a super universal, straightforward palette that works on anyone, anywhere - in front of the cameras or behind the scenes, as well as in the privacy of your own bathroom. The palette works around the notion that “just like you dress to flatter your body shape, eye makeup should be applied based on your eye shape”. After nine years of research looking at more than 5,000 eyes, the Smashbox R&D team narrowed it down to six main shapes, and then their clever artists created how-to’s based on the shapes to get the most popping eyes possible with just this palette. Lori Taylor-Davis, Global Pro-Lead Artist for Smashbox said of the release, "your eye shape should determine how you apply the shadow.... 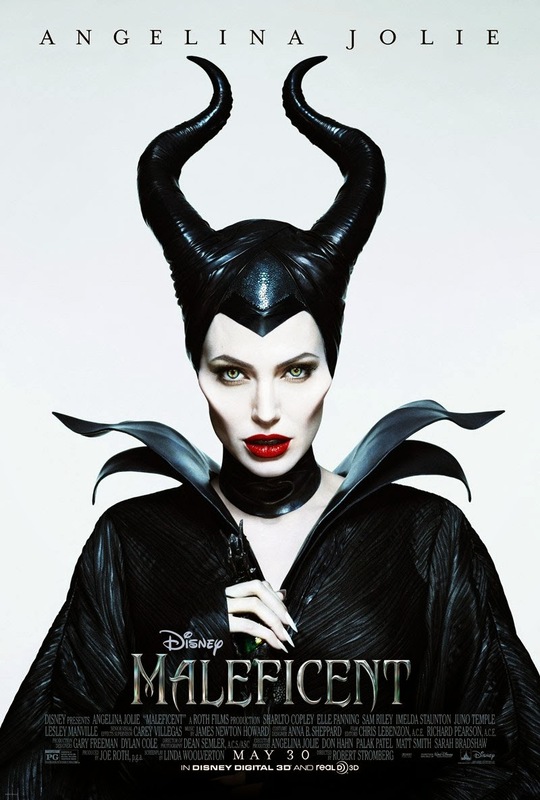 This isn't one-shape-fits-all makeup anymore people," and I can’t help but agree. The Full Exposure Palette contains a set of universal neutrals that are essential, effortless and enhanced for each individual eye shape, meaning no more confusing, hard to use eye palettes full of shades that never get swiped. It includes 14 shadows ranging from nudes to blacks, sparkling shimmers to velvety smooth mattes (my favourites- and they go on like butter, seriously), meaning you have endless options depending on your own personal style and occasion. The set also comes with a dual-ended brush, with one side for laying down shimmers, the other for blending mattes. And if you’re not sure which eye shape option is you, just scan the label on the bottom for a step-by-step tutorial that breaks it all down for you or visit here. I’ve been using this almost non stop since it came across my desk and heartily recommend to anyone who loves anything to do with fabulous eyes. The only advice I can give is - apart from buying the damn thing, that is! - is when using the shimmer shades, be sure to apply by pressing down, rather than sweeping across lids for a decent amount of pigment to adhere. This mega palette is available right now, so what are you waiting for? I have to confess that when I first heard about Osmosis Pür Medical Skincare’s Harmonized Water collection I feared they may be the latest in Emperor’s New Clothes, but how wrong I have been proved. Once you get your head around the science and motivation behind them you’ll seriously wonder how you coped without them. There is growing recognition in the scientific community that the body is better described as a hologram than "matter". These revelations give credence to existing energetic strategies like acupuncture and frequency medicine, and harnessing them can restore a harmonious environment in your body. All cells vibrate in very specific ways. Within our cells, each component (electrons, protons etc) vibrates. In each cell, there are thousands (if not millions) of tiny cellular components that radiate energy and light as a team. From a broader point of view, every organ is also a compilation and has a unique vibration when it is healthy and differing vibrations when it is sick (unbalanced). It is the compilation of "musical notes" of every cell's vibration that make cells, organs, humans, and everything else look and feel solid. Disease develops in the human body from the ingestion and inhalation of toxins, from negative thoughts or a combination of any and all of them. Everything is energy and so all of these influences change healthy vibrations into unhealthy or unbalanced ones. The body often works to restore the tissues to their normal vibratory rate but that obviously does not always occur. 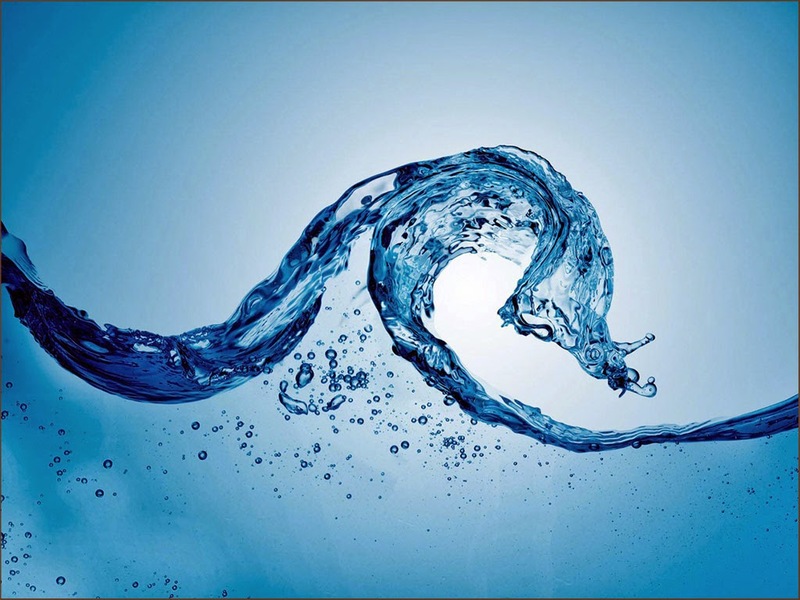 Drugs offer vibrational energy solutions but sometimes they contain energies that are toxic resulting in energetic imbalances and causing side effects, whilst Harmonized Water empowers the body without interfering with normal physiology. Osmosis’ Harmonized Water helps to balance tissue disharmonies by delivering beneficial radio frequencies to the cells using water as a carrier. Drinking Harmonized Water provides harmony to a disorganized section of anatomy but it does not affect cells operating in harmony already. It can maximize healthy activity and reduce disharmonic vibrations in a variety of physiologic abnormalities in the body. For this reason, there are not any side effects - great news all round! Okay, if you’re feeling a bit blinded by science then how about a serious accolade! Osmosis’ Harmonized Water Collection was named the winner of the Best Inner Beauty Product for Les Nouvelle Esthetiques and Spa Magazine’s Best Product 2014 Awards. With nominees selected by their educational committee, winners of the sought after BEST title in each category were selected by readers - people who have used them and seen them at work! Different Harmonized Waters contain targeted frequencies for conditions like allergies, asthma, acne, menopause, arthritis, mosquito protection, sleep problems, thinning hair, digestive health, UV protections, low libido, gum disease, and more. Taking them involves just 2ml twice daily, and the latest, Inner Harmony is a real powerhouse. 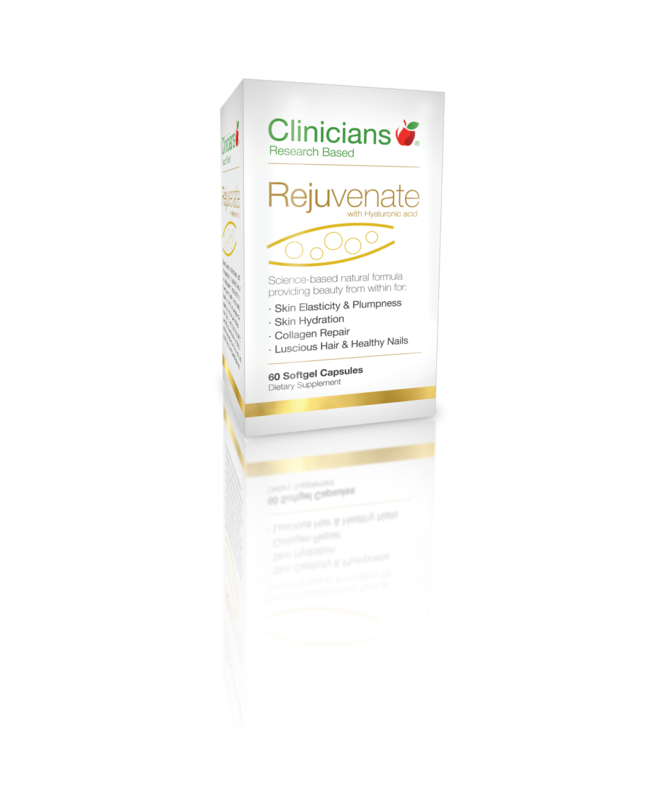 It’s a combination of the best of many of the formulas in one bottle, and works to rebalance: body and skin wellness, provide organ and toxin protection as well as offering digestive health and mental well being. It’s widely known that celebrities and ‘it’ girls have facialists on hand to deliver bespoke treatments according to their skin’s whims where and when they need it, and international beauty names like Eve Lom and Kate Somerville kicked off their careers through word of mouth from some very influential clients. Now Ponsonby and Grey Lynn have their very own bespoke facialist just a phone call or email away, in the form of petite blonde aesthetician Ashleigh Scott. When I visited Ashleigh at her Grey Lynn clinic at the end of January she had only been open a week, but word was already spreading about her presence in the ‘hood. Her background as a facialist is international, and she refined her knowledge and experience through working with top facialists and professionals in an exclusive clinic in Knightsbridge, London. “I only returned to New Zealand last December,” she says, “but I knew straight away that the Grey Lynn/Ponsonby area was where I wanted to be.” It didn’t take her long to find a quiet, private space beneath Loxy’s hair salon in the Summerfield Villa block on Richmond Road, where she delivers facial treatments particular to each and every lucky client. “Everything I do is completely bespoke,” she explains, “and is about what your skin needs at that time, your lifestyle, the weather that may be affecting it. I then use different combination of very high performance products to treat it accordingly.” Ashleigh takes a natural approach to skin, believing it is a reflection of your lifestyle, internal wellbeing and environment. She takes also into account your individual skin concerns and tailors the treatment to get the best outcome for you. Using her extensive knowledge of skin, she cleverly merges active skincare with facial massage, to lift and firm the facial contours while expelling toxins from the skin. The end result? That all-too-elusive ‘glow’ that we all want but are often not exactly sure how to achieve. After our chat I spent an hour submitting to Ashleigh’s hands for a Signature Facial ($140.00). It incorporated manual skin and muscle softening techniques that instantly released any tension held in my face, which as well as enabling unrestricted flow of oxygen to all areas of the skin and muscles felt like pure heaven. The aim was to bring clarity, luminosity and tone to my post-holidays dehydrated skin, and a neck and soldier massage with pure coconut oil that my skin drank up was the absolute icing on the cake. The products were used in such a well balanced combination that I left without a hint of redness or having been pummelled into submission, and the next day my skin really did have more than a spring in its step. Ashleigh also has the option of a 90-minute Super Facial ($180.00), which she says is a restorative treatment featuring a plumping, brightening and hydrating collagen mask for added skin radiance, a full upper body massage and more time to focus on your individual concerns. There are also the likes of eyelash and eyebrow tinting, waxing and tidying available add ons, so you can just lie back and wake up truly transformed. Traditional with a twist - Ashleigh Scott does it extremely well. The hottest beauty news in the past week must be the announcement that Bobbi Brown Cosmetics have signed up the beautiful - and beautifully real - American supermodel and actress Kate Upton as the brand’s new celebrity face. Their first-ever celebrity spokesperson was actress Katie Holmes, who will step down at the end of June when the first shots of Upton will appear in July 2014 as campaign images at Bobbi Brown Cosmetics counters worldwide. The official ad campaign images will break in September issues of national print magazines and promise to be absolutely gorgeous. “I was drawn to Kate because – not only is she incredibly beautiful – she is healthy, comfortable in her own skin, has such positive energy, and is a woman who creates her own rules”, says Brown, “she loves life and that is Pretty Powerful.” Upton is equally enamoured of Brown, saying the makeup artist is “an American success story – she created a global brand from an idea that women can be beautiful being exactly who they are and I love that,” says Upton. I for one think that this partnership is a match made in heaven and cannot wait to see what the pair creates. Earlier this week I was lucky enough to meet Oasis Beauty founder Stephanie Evans, the woman behind the successful Cantabrian skin and sun care brand that has been creating multitasking essentials for an amazing 15 years. Whilst most beauty brands have a “sensitive” collection, the Oasis collection is ALL designed for sensitive skin and was still being made up until two years’ ago in Stephanie’s Oxford kitchen. Since then it’s grown to the point where a factory is in place, and the brand is stocked - and loved - throughout New Zealand. After a great chat and a coffee Stephanie sent me off with a few of the brand’s hero products to try, including the rather amazing Lips & Lashes. It’s a true multitasker to be sure, being a silky cream that soothes and brightens the delicate skin around the eyes, moisturises your pout and even helps your lashes grow longer and stronger. Ingredients include Aloe Vera and cucumber to soothe sensitive and sore eyes (like mine! ), honey, rosehip oil, calendula oil, apricot kernel oil and Vitamin E all to moisturise without weighing the skin down, Arnica to aid with puffiness and dark circles, humectants Glycerin and hyaluronic acid (HA) that absorb moisture and swell to fill fine lines and wrinkles and antioxidant powerhouse Green Tea. I’ve been using this beauty day and night and have had zero sensitivity or even the slightest itch, and while it’s early days yet my skin feels pretty damn good. A little definitely goes a long way, and it can be used several times a day - even under mascara as a lash conditioner and as a cuticle cream! - with ease. Love this and if you’re a sensitive girl like me then I reckon you will too. 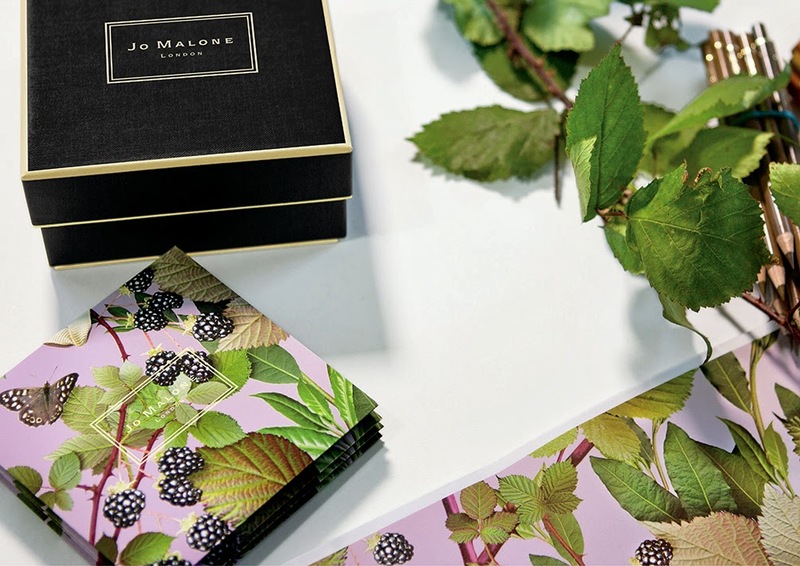 In a move that is surely a match made in heaven, Jo Malone has teamed up with artist and designer Michael Angove to create a limited edition packaging for two of the iconic brand’s current scents. Angove has designed fabric for prestigious establishments such as Liberty, Jean Paul Gaultier and Farrow & Ball, and has an unmistakable botanical style that I absolutely fell in love with at first sight. The two scents are Blackberry & Bay - one of my personal faves - and Orange Blossom, and the collection is made up of a Blackberry & Bay Home candle, scented sachets and soap and Orange Blossom diffuser and soap - all featuring limited edition packaging. After spending some time with the Jo Malone team Angove reportedly decided the two fragrances from their current line up he would design for would be the aforementioned two, and the end results is nothing short of gorgeous. The packaging is very British and almost too beautiful to use, whilst Angove has also hidden images of bugs on all the packaging so you can join in on his bug hunt. Blackberry & Bay is fresh and wild, whilst Orange Blossom has a hint of the 1920’s about it and the design reflects that. The limited edition collection will be instore on April 14, so start picking your favourite now. A while ago now I added ELEVEN Miracle Hair Treatment to my haircare arsenal and never looked back. It is quite simply a bloody great product, and everyone I’ve recommended it to has instantly fallen head over heels for its multitasking charms. Proudly Australian made and owned, ELEVEN AUSTRALIA came into being when haircare distributor Ozdare collaborated with Creative Directors Joey Scandizzo - two time Australian Hairdresser of the Year - and Andrew O’Toole, a highly respected hair and fashion photographer in Australia and the UK, back in (you guessed it) 2011. Needless to say the trio tick all of the boxes when it comes to being experts in their fields, and their debut product was a winner. A leave-in treatment and styling product that boasts eleven key benefits for hair, it put the brand on the map from day one (and gave it its name) and has been a top seller ever since. Since then the company have released a series of amazing products, the latest I’ve tried being ELEVEN Sea Salt Texture Spray. Unlike some of its stickier peers, it’s a lightweight mist brings that can be used all over the hair to create volume and thickness, as well as enhancing natural body where you need it. Unlike many other sea salt sprays, it doesn’t give your locks that hard, crunchy feeling but still delivers a beachy look with loads of softness factor. Ingredients in the mix include Hydrolysed Wheat Protein and Hydrolysed Wheat Starch to condition the hair, and it can be used when hair is wet or dry. To use, simply spray directly onto roots for volume, or mid-lengths and ends for thickness and texture. I’m a confessed connoisseur of the faux glow, and have tried pretty much every formulation out there - with varying degrees of success. At the moment my absolute favourite spray tan is St Tropez’s Rapid Tan formula as applied by the wonderful Bianka from Mollie’s Spa in Auckland, and I’m always on the lookout for anything new that the global tanning brand has on offer. The latest I’ve heard about is their Self Tan Sensitive range, which is specially formulated to be gentle on skin without compromising performance. The genius yet gentle range has been designed with the more sensitive skins in mind, using natural-based ingredients that won’t irritate the skin. As someone who ticks the ‘sensitive’ box more often than not this is a major revelation - and well worth the wait. Self Tan Sensitive Bronzing Face RRP - specially created for the delicate skin on the face and infused with a “gentle iridescence”. The formula includes Grape and Blackcurrant Seed Oil, Pomegranate and melon extract, delivering intense hydration and sun kissed colour without blocking pores. Self Tan Sensitive Bronzing Lotion - an intensely hydrating lotion that contains Grape and Mango Seed oil, Avocado Butter and a combination of naturally derived tanning ingredients. Self Tan Sensitive Bronzing Mousse - a lightweight nourishing mousse that easily absorbs into the skin to match the users skin tone. It’s apparently a great range to recommend to first-time tanners who want a fool-proof and subtle-looking colour, and can be used up to three times a week for a really golden glow. Can’t wait to try this - and hopefully, bring on the spray! Spending more than my fair share of time - lucky me! - in France and Italy over the years I’ve become a big fan of sparkling wines, in particular quality Prosecco-styles that have proved hard to get in New Zealand. Until now that is - with the arrival into my orbit of Australian wine legends Brown Brothers’ amazing Prosecco NV. I was introduced to this little gem over a wine-matched brunch at Andiamo, one of my favourite eating spots in Auckland. The fare was absolutely stellar as was the company, and both being matched with Brown Brothers’ wines was the absolute icing on the cake. 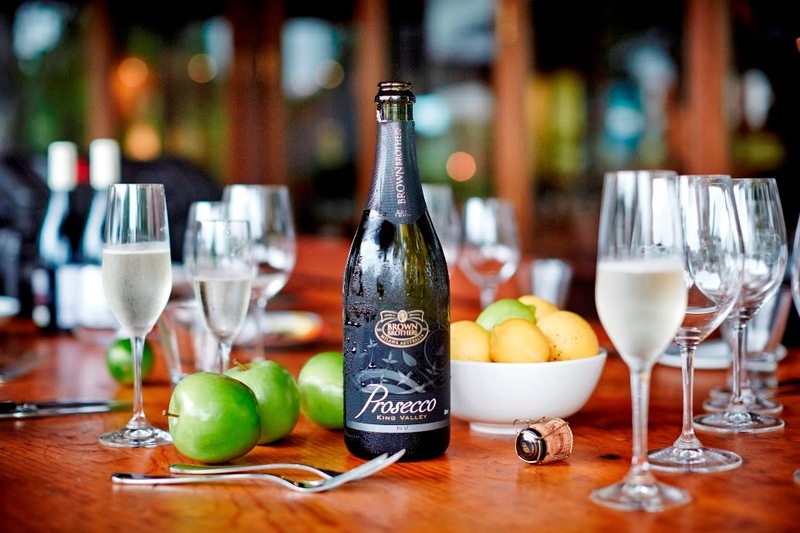 Lighter, crisper and fresher in profile than traditional brut styles, Brown Brothers Prosecco is meant to be enjoyed whenever the mood takes you - their catchphrase is “Prosecco time!”, which is pretty damn gorgeous in my books. Prosecco is the name of an appellation in North East Italy as well as being the name of a grape variety. The grapes are harvested early to get high levels of natural acidity and fresh crisp flavours, and Brown Brothers’ vineyards in the King Valley, Victoria, offer the perfect climate for producing Prosecco. Prosecco NV is crafted to drink young while at its light and delicate best, and it can slot into so many times of day, meal choices and occasions that it is definitely one of the most versatile varietals out there. It complements food flavours that range from smoked salmon brioche to a Vietnamese chicken salad or an antipasto platter, all of which will fit nicely into my foodie repertoire. Nothing defines a face better than a beautiful pair of brows, and brow style shifts in shape and trend almost every season. The best option in my humble opinion is to enhance the best of what nature gave you, and there are some beautiful brow grooming products out there to help keep your arches looking ship shape. One I’ve fallen for of late is Estēe Lauder’s fancy new Double Wear Stay-in-Place Brow Lift Duo, which is incredibly easy to use, handbag and travel-friendly and longwearing - magic! It’s essentially a super durable brow pencil with a super thin tip for perfectly precise application, which comes with a universal highlighter shade at the opposite end that enhances the brow arch for an instantly “lifted” appearance. The retractable pencil is apparently two times smaller than traditional thick wooden pencils, so seamlessly fills in gaps in your brow hair. It is made using a wax-based formula that sets brows and stays colour true for 12 hours (or more, I’ve tried! ), whilst the highlighter is ultra creamy and soft and also a light-reflecting formula if you’re a stickler for a well-groomed brow like me without the glare factor of many of its peers. This little wonder is available in four universal, neutral brow shades - Black Brown, Rich Brown, Soft Brown and Blonde Brown - and in store now. Coming complete with an invitation to “breathe in the fragrance of bygone times and relax in your own secret garden,” the always-incredible MOR have recently released their Jardinière Collection - and what a treat it is. Inspired by the secret gardens and carefully considered conservatories of bygone eras, Jardinière features three luxe scents that are available as soy wick candles and diffusers. True to MOR’s usual modus operandi, the products are decadent and beautifully designed inside and out, and it seems almost a crime to remove them from their exquisite hiding places! With a burn time of 60 hours, the soy wax candle has a great fragrance throw and a 100 per cent cotton, lead-free wick; while the reed diffuser disperses fragrance continually for up to six months thanks to its quality blend of natural vegetable-based ethanols and the rattan reed sticks that perfume efficiently and evenly. Both come in gorgeous glass vessels that are finished with decals in the scent’s signature colour and, in the case of the reed diffuser oil, a glass stopper finished with a hand-tied ribbon and pretty fragrance tag. Too beautiful and very MOR. 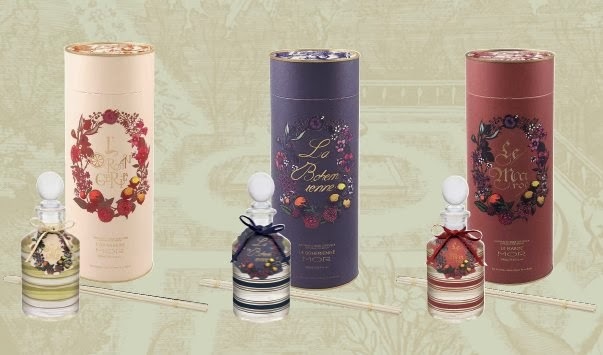 The three fragrances are all very different but equally delicious, with La Serre a delicate evergreen offering, La Bohemienne a fruity-floral mix, and my personal favourite, Le Maroc, a spicy hit of Marrakech without the need to board a plane. These babies make for the perfect gifting option but I say pick some up for yourself too - this collection is simply too good not to enjoy alone or with a friend! I recently lost a close friend, and despite the awfulness of the circumstances I knew not long after that what I most wanted to do was celebrate her life. It was a life lived well, and some of her favourite things were great wine, seriously fabulous shoes and scented candles. It was around the same time that I was sent Ecoya’s newest candle release - Celebration. The timing could not have been more perfect, and it was immediately put to work honouring an amazing woman. The company created the beautiful white candle “to celebrate, commemorate, honour, congratulate, or create a memory anew”, and it is a wonder to behold. 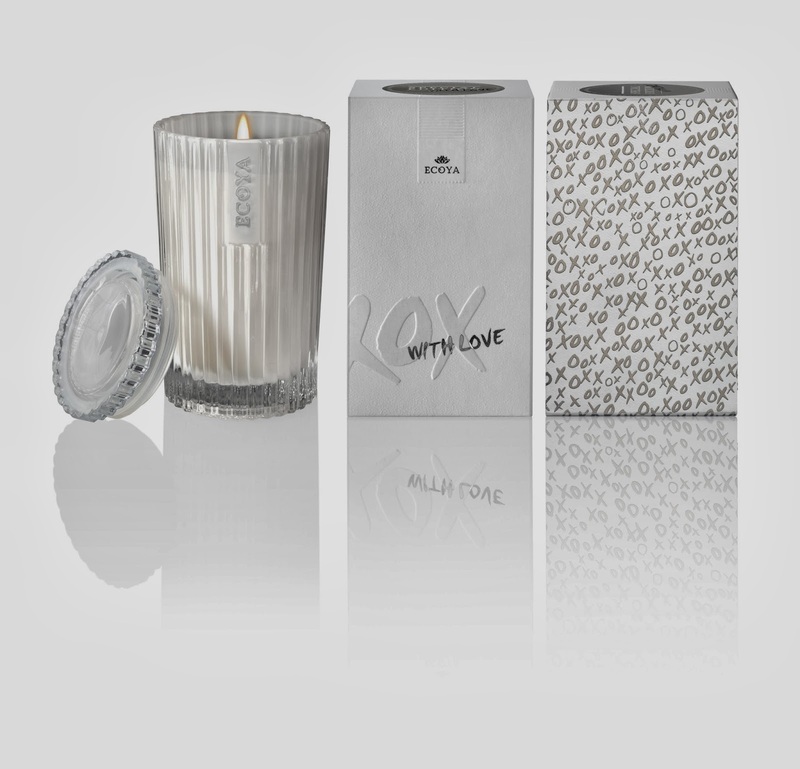 With up to 70 hours burn time, the breathtaking new candle is housed in an elegant, white cut glass jar and presented in a refined silver and white gift box with a simple ‘XO’ print and the timeless message ‘With Love’ highlighting the box. It goes without saying that it is made using natural soy wax and plant-based waxes, rather than the paraffin bi-product of the petroleum industry. All of the company’s soy wax candles create significantly less carbon emissions than most other candles and offer a burn time up to a third longer, as well as burning cooler than other waxes. They also have candlewicks are made from pure led-free cotton. The fragrance was created by ECOYA ‘nose’ and Master Perfumer Isaac Sinclair, and has the freshness of citrus and leafy green notes to create a warm, mossy floral heart, atop a rich, creamy base of Sandalwood, Vanilla, Balsam and Musk. It is beautiful and unique and I for one can’t get enough. "Lighting a candle provides an opportunity to create those moments in time that are destined to never be forgotten,” said Sinclair, “one note of a half forgotten fragrance is enough to place us at the heart of every moment ever lived – be it birth, life, love or death.” Amen to that! I highly recommend you find a person, an occasion or a moment to celebrate with this beauty, and ASAP. Just gorgeous. The ECOYA Celebration candle is in store late March. 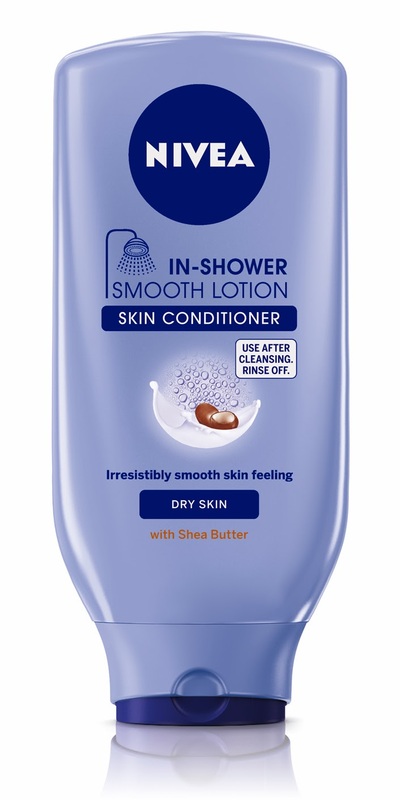 I haven’t laid hands on a good beauty ‘steal’ for a while, but the brand spanking new Nivea In-Shower Smooth Lotion is most definitely one - as well as a bit of a godsend for busy people. The newest edition to the global mega brand’s range of in-shower moisturisers – all designed to indulge and moisturise dry skin in the comfort of your shower - it is rich in shea butter and specially formulated to nourish dry, parched skin. And as well as smelling pretty delicious - think vanilla, white musk and sandalwood notes - it absorbs incredibly fast, making it the perfect companion for your morning shower. 2. APPLY – stepping back from the shower stream, apply NIVEA In-Shower Body Lotion. You can go crazy a bit here too - you’ll be amazed how quickly it rubs in. 3. RINSE – the caring formula is immediately absorbed by your skin. Rinse off. Arriving in April, these tubes of goodness will set you back a teeny tiny $9.49 - making them most definitely a timesaver AND a right steal! 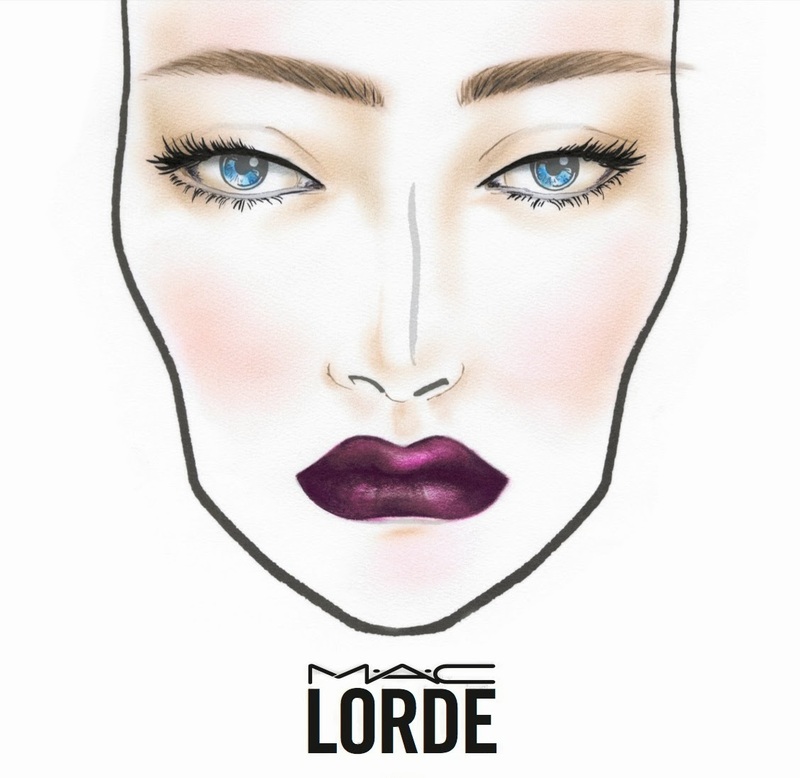 It’s news that hasn’t come as a huge surprise to many give a) her unique beauty and b) her close relationship with the super talented Senior Artist Amber Dreadon, but that doesn’t dull how damn exciting it is that Lorde will be collaborating on a limited edition collection! The New Zealand teen phenomenon’s collab will be sold at all authorized M.A.C locations throughout New Zealand, exclusively on MACcosmetics.com, and at select M.A.C Cosmetics stores globally in Winter 2014. Lorde has been using the mega brand’s products for quite some time and working with them since 2013, so it was a natural fit. Her official statement was: "I have loved M.A.C Cosmetics since I was a little kid. I remember saving up to buy my very first M.A.C lipstick [Snob] at 14, and it was used by about 20 of my friends! 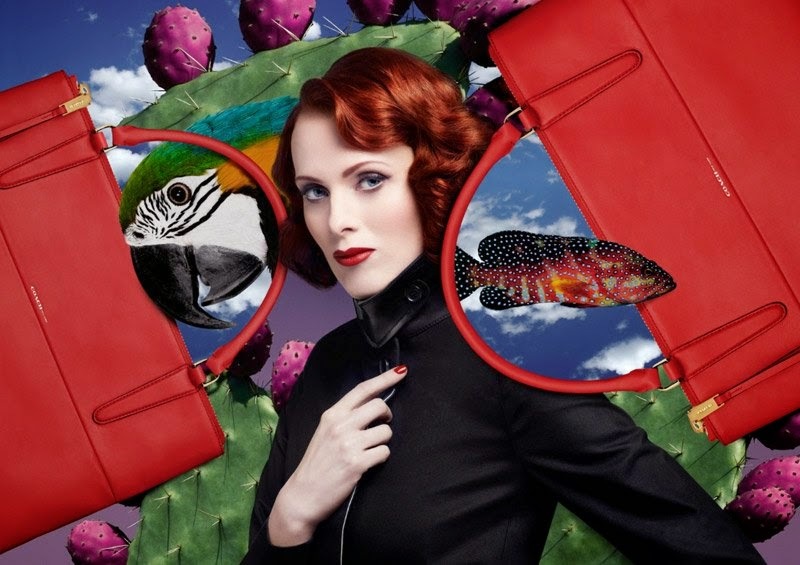 M.A.C has a very clear aesthetic that has always felt fashion forward to me. So I was really excited to work with them on these products, which I use pretty much every day and night. I hope you will too." The beginning of Autumn is all about coping with seasonal change on the beauty front and getting ready to hunker down for the cool months. It’s when you start to address things that have maybe needed a little extra TLC over the last little while, which for me is often my feet! I usually spend summer barefoot or in trainers or Havaianas, and my poor old tootsies are starting to look a little worse for wear. I often have a few foot soothing treats on hand when I finally get a chance to look after them, and have to admit that there are a lot of products out there claiming a lot more than they deliver. Thankfully, my new best friend - AKA Manuka Doctor ApiNourish Foot & Heel Cream - is not one of them! Harnessing the skin rewarding, all good powers of UMF 18+ Manuka Honey, this tube of foot-loving goodness from Manuka Doctor is a super rich and beautiful to use moisture rich formula that pretty much instantly nourishes the skin on your feet. After just one application (and a night wrapped in socks) my feet looked transformed, and have only got better. Great when lathered on an the end of the day, ApiNourish Foot & Heel Cream has a cooling effect from the addition of peppermint to its formula, whilst moisturising Shea Butter and Avocado Oil leave feet feeling soft, supple and just plain soothed. It’s definitely a winner in my book, and at $19.75 for 75ml won’t break the bank. Love it! For stockists visit www.manukadr.co.nz or phone 09 300-3025.